I’ve always had a soft spot for the darker characters in fiction and film, and thinking about what makes for a perfect crime is what kick-started the idea for my book. For me, exploring the ‘why’ is more interesting than the ‘how’. What makes people act the way they do, and cross lines they never thought they could? Good people sometimes do bad things and will go to extraordinary lengths to cover it up in the name of self-preservation. My story is set in modern-day London, featuring Detectives Jake Porter and Nick Styles, who stumble upon what appears to be a crime scene that’s lain undiscovered for thirty years. A young girl had been missing since then, but nobody, not even any of her friends or family, have ever reported her missing. Porter, who’s still struggling to cope with the loss of his wife, is up against allegations of police corruption and a criminal who’s hidden in plain sight for decades, as he digs through thirty years of lies. A tragic family history begins to take on a darker twist, and there are plenty who’d rather the past stayed buried. Did she slip through the cracks to escape someone or something, or was she given a not-so-helpful shove? You’ll have to read it to find out. Robert Scragg had a random mix of jobs before taking the dive into crime writing. He’s been a bookseller, pizza deliverer, karate instructor and football coach. 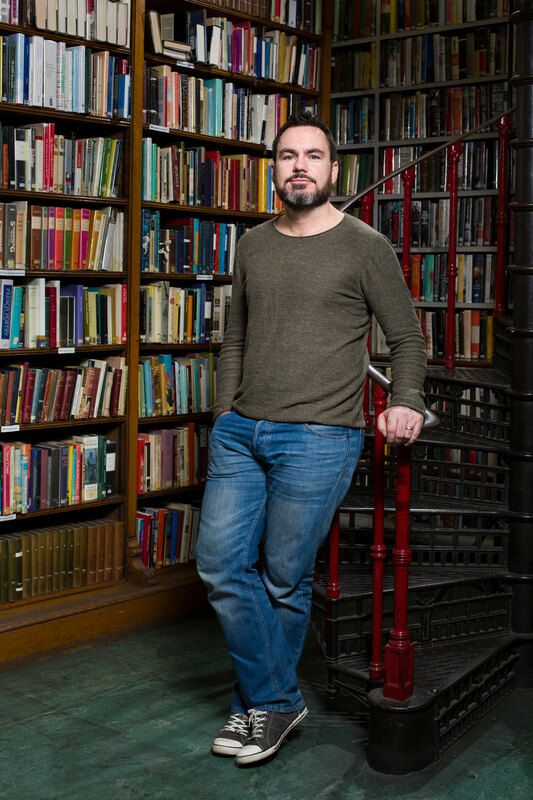 His debut novel, What Falls Between the Cracks, impressed the judges at last year’s Theakstons Crime Writing Festival in the Dragons’ Pen, enough to get a thumbs-up all round.